Feline Rescue (formerly known as Feline Lost And Found) started off as a register of reported lost animals in the Luton and Dunstable areas. Soon it was apparent that there was nowhere for unwanted cats to go, something had to be done and from two kittens found in a Luton dustbin to an organisation that has rescued thousands of cats in over 20 years, Feline Rescue was born. Feline Cat Rescue is supported entirely by public donations. We are always looking for volunteers, even for a few hours a month. 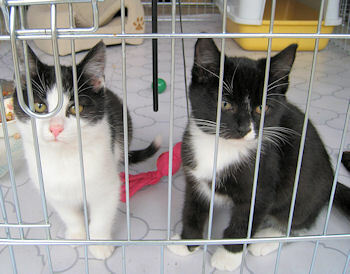 Particularly we need volunteers able to foster and give a temporary home to our rescue cats. We welcome any donations of used clothes or bedding, cat food or items we can sell on our stalls. All funds raised go to the care of our furry friends.